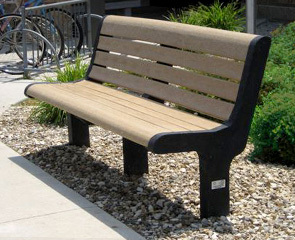 Malibu benches are the perfect choice for environments where looks are just as important as rugged durability. With the contoured seat and seat-back these benches supply exceptional comfort. Their unique design also prevents any potential snagging of clothing and injury as a result of sharp corners or exposed hardware. As an additional feature, armrests are available for the added comfort appeal or to help meet ADA guidelines.